Così è, se vi pare! Capitalism is weak and it can’t save itself. It needs to seize control of the state and all its powers, to protect capitalists against their recurrent crises. You don’t need a fascist movement or a coup to do this: how backward-looking, how 1935! You need to sell appearances to voters, to turn statecraft into a genre of entertainment. 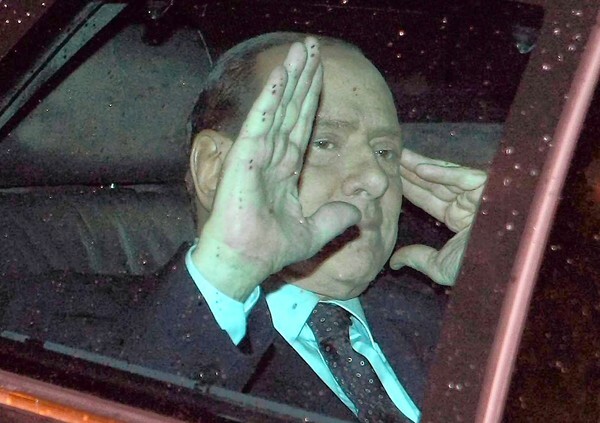 Others, like ex-actor Reagan or Saatchi-&-Saatchi-sculpted Thatcher, may have grasped fragments of the formula ahead of time, but only Berlusconi worked it out with the precision of a logical theorem or a Harvard-MBA business plan, and only Berlusconi put it into practice with his inimitable, retro-ironic garnishes on top, making Italian politics a 3-D, Imax version of The Benny Hill Show. even higher yields aren’t enough to attract buyers, Europe’s main clearinghouse will start to require higher collateral for Italian bonds used in repo trades, and traders will start panic selling, which would send rates spiraling even higher. That kind of panic is self-fueling, and once it starts it can destroy its target within days…. Unless the European Central Bank (ECB) steps in, Italy will be shut out of the bond market very quickly. It will be unable to roll over its debt, and default will follow. This is basically Greece on steroids, since Italy is something like six times bigger than Greece. The eurozone deal announced a couple of weeks ago might have been big enough to handle a Greek collapse—though even that’s not a sure thing—but it’s not even close to being big enough to handle an Italian collapse. … This is the biggest story in the world right now. “At this point, Italy may be beyond the point of no return,” Barclays Capital said in a gloomy report this week. Italy is the only country among Europe’s weaker nations that offers investors the opportunity to buy or sell futures contracts tied to Italian bonds. 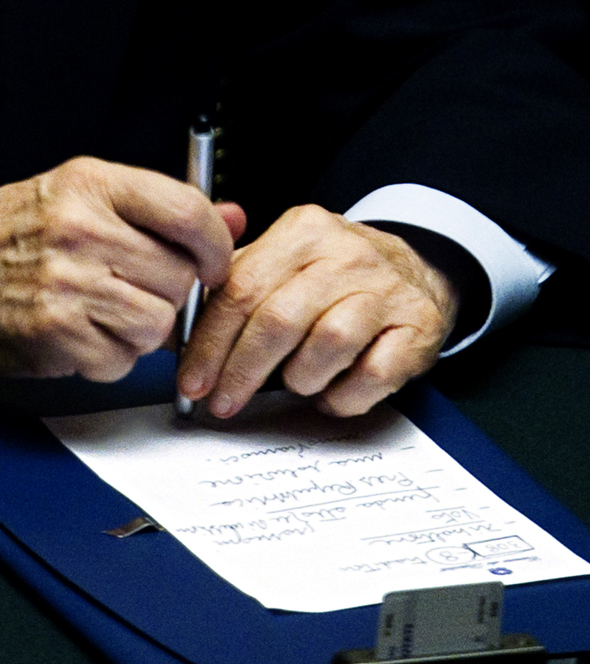 Though the feature was presented initially as a way for investors to hedge their exposures, investors who want to make a negative bet on the euro zone can sell Italian bond futures — which adds to the already significant downward pressure coming from investors who are unloading their bond holdings directly. I mentioned recently how the market in futures — in purely hypothetical commodities — is driving up food prices to unsustainable levels. Here, the market in hypothetical debt is boosting the price of the real thing. A last game of appearances! There isn’t enough money in Europe to bail out Italy. Reportedly French and German bankers are murmuring about breaking up the Eurozone, throwing Italy (and Greece, Spain, Portugal) overboard and lashing together a life-raft with the remaining solvent economies. No one knows how this could be done without multiplying the panic tenfold. Maybe more than appearances matters after all. Gnomic as a riddle; crystalline as a haiku! Maybe that’s the epitaph of our era. As the archaeologists of a future civilization dig through the rubble of this century, the used condoms of our passions, the broken CFL lightbulbs of our great ideas, perhaps they will find in those cryptic words the key to everything, the “Rosebud” to rationalize the great crash and fall, and all their computers will be bent to decipher Berlusconi’s parting sigh. This entry was posted in Economic Justice, Politics, Uncategorized and tagged capitalism, debt, default, EU, euro, Italy, Occupy Wall Street, Silvio Berlusconi by scottlong1980. Bookmark the permalink. Why are you comparing Regan and Thatcher – principled conservatives, with Berlusconi – a closeted socialist?